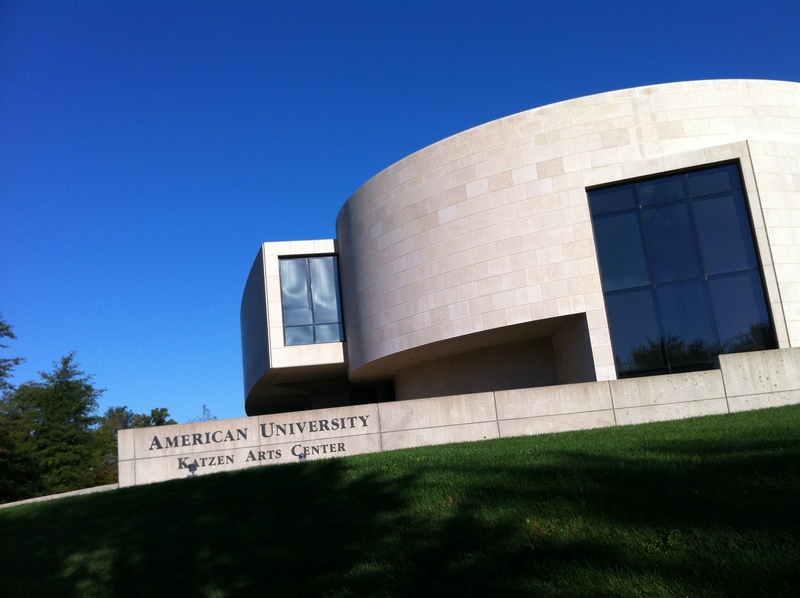 Glenstone (located in Potomac, Maryland) is an unusual and extraordinary museum. Last Wednesday, a visit to this site opened my eyes to a new type of museum experience, and helped me appreciate the vast possibilities for a successful museum concept. I would love to share a few thoughts on my visitor experience and the ideas I will take away as an aspiring museum educator. Glenstone is a carefully constructed environment clearly built on passion and uncompromising ideals. Glenstone offers a particularly respectful educational experience, holding each visitor’s intellect in high regard. Glenstone’s mission is to integrate art, architecture, and landscape, creating a seamless, contemplative environment and inspiring meaningful engagement for visitors. Glenstone derives its name from its location on Glen Road and from the locally indigenous carderock; it is deliberately named for its setting rather than its founders with the hope of evoking a sense of place for future generations (see ‘Message from the Founders’). True to this mission, the visitor experience is rejuvenating and peacefully edifying. It is also a little whimsical; laughter is encouraged and not at all out of place. Meticulously designed to create a lush, expansive space of gorgeous landscapes and arresting outdoor sculptures, Glenstone is arguably more reminiscent of a resort or wilderness retreat than a traditional museum. Glenstone is available to the public Wednesday through Saturday, and visitors must make an appointment to see the museum via guided tour. Visitors are not permitted to bring bags into the museum or take photographs once inside. Though these requirements may seem restrictive compared with other museums, I admit they made for a serene, distraction-free experience—something rare in today’s busy world and therefore valuable to me. I enjoy going off the grid once in a while and rarely have an acceptable reason to do so. Like all people, I usually experience visitor fatigue at some point during a typical museum visit. Ordinarily, I can’t imagine trying to view every object or read every label in a museum during a single visit. At Glenstone, however, I experienced little fatigue of this kind. Buoyed by a peaceful energy, I felt a strange, excited compulsion to view everything. (And I really did view everything.) The quiet, distilled space at Glenstone offered a precious opportunity to hold my energy in reserve for the art. I found the educational experience at Glenstone to be uniquely respectful of visitors. During my visit, the docents showed genuine excitement and delight as they shared the experience with our group. They didn’t lecture to us, but instead viewed the works with us, engaging our perspectives and seeking to extend our responses with relevant information. They were enthusiastic about visitors’ comments and even shared insights from previous visitors. This casual yet sincere exchange of ideas created a multi-directional dialogue that I found very exciting—and very participatory. It also created a sense of equality between educator and visitor, something that helped give me the confidence to comment and engage more than I normally would. Glenstone demonstrates the power of an imaginative institutional vision, implemented uncompromisingly and unapologetically, to provide an igniting and satisfying contemplative experience. It also shows how a museum might create a truly mindful relationship between its visitors and its collections, and how a rich educational experience can also be food for wellbeing. Visiting Glenstone is, I believe, a therapeutic museum experience. Thinking back on my time there, I still remember the feeling of calm, the experience of being surrounded by beauty, and the delight and whimsy of briefly escaping to another world. *Note: The title of this post was inspired by the blog, Slow Museums, by Kezia Simister, and David Whitemyer. Their blog slogan, ‘Just be your self, then people will like you’ encourages museums to consider the relevance of this popular parenting mantra. My experience at Glenstone suggests how institutional ‘self-esteem’ might work in practice, and how it might impact on quality and engagement. I don’t want to suggest that museums should ignore community needs and simply do whatever they like; however, I do think that institutional passion and vision are valuable. Being assured in one’s institutional identity seems like one way to achieve these qualities and create an exceptional visitor experience.